Polyurethane is one of the most widely used copolymers and is formed by the cross-linking of isocyanates and polyols. Its physical properties have a strong dependence on the monomer structures, making it very important to characterize the monomers in polyurethane. In this study, we developed a method to analyze unknown polyurethane samples using pyrolysis gas chromatography time-of-flight mass spectrometry (Py-GC-TOFMS) with dopant-assisted atmospheric pressure chemical ionization (dAPCI). A set of standard polyurethane foams produced with several different monomers are analyzed by Py-GC-TOFMS. 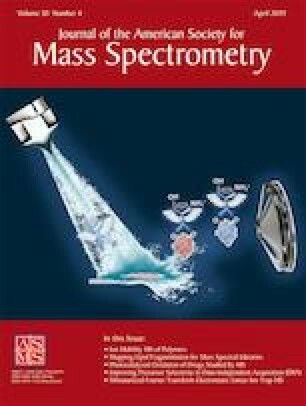 GC-dAPCI-TOFMS is a high-resolution, soft ionization method for GC-MS analysis that provides accurate mass information of GC separated molecules. 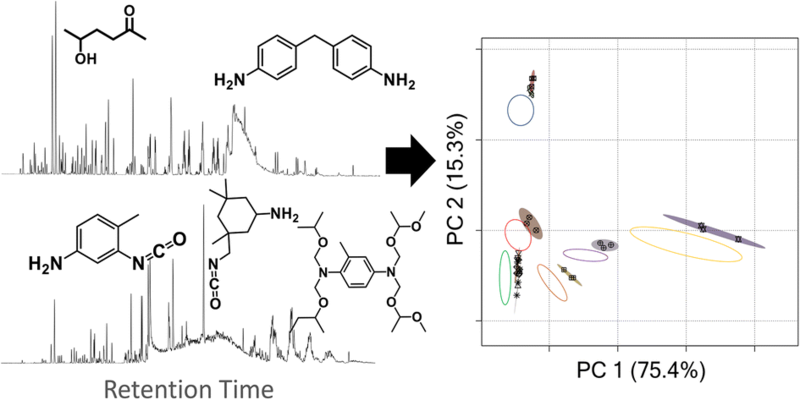 The data obtained by this approach could effectively classify different monomers using principal component analysis (PCA), grouping polymers with the same monomers, and providing structural features significant to each monomer. Furthermore, characteristic compounds are identified using in-source collision-induced dissociation (CID) and CSI:FingerID analysis. In contrast, the same set of samples analyzed by Py-GC-electron ionization (EI)-MS could only partially separate some of the monomers. The online version of this article ( https://doi.org/10.1007/s13361-019-02165-y) contains supplementary material, which is available to authorized users. We acknowledge Steve Veysey and Kamel Harrata in the Iowa State Chemical Instrumentation Facility for assistance with Py-GC-EI-MS instrumentation. This project is funded by Hyundai Motor Company.